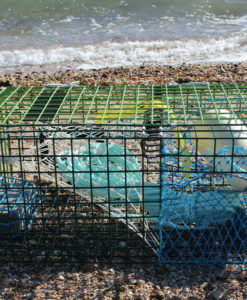 Green crabs are walkers, not swimmers like blue crabs. 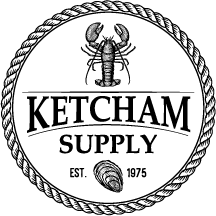 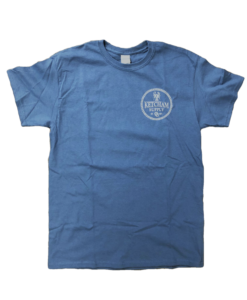 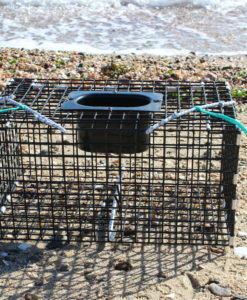 This top entry design is similar in concept to traps used in the Florida stone crab fishery. 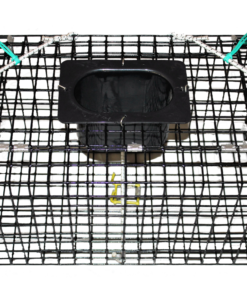 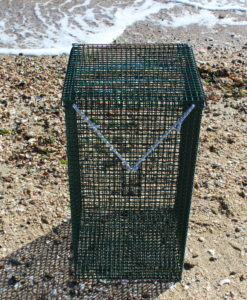 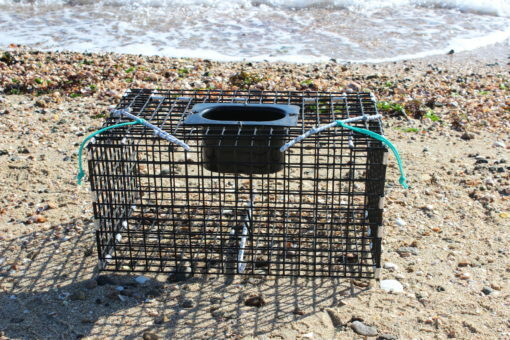 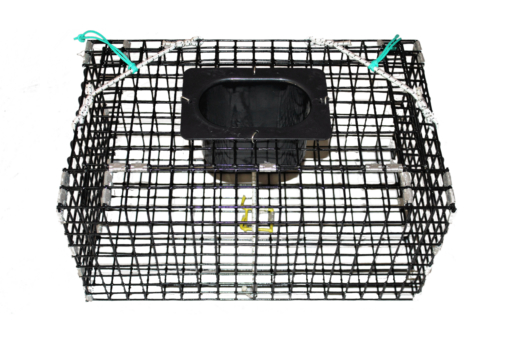 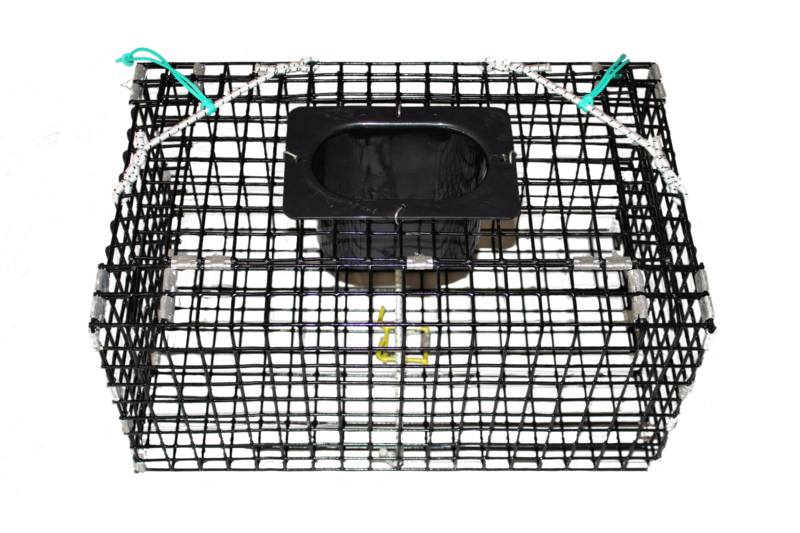 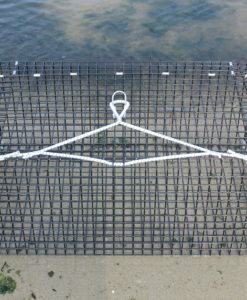 Our green crab trap is constructed from 1″square mesh wire and measures 9″ x11″x18″.